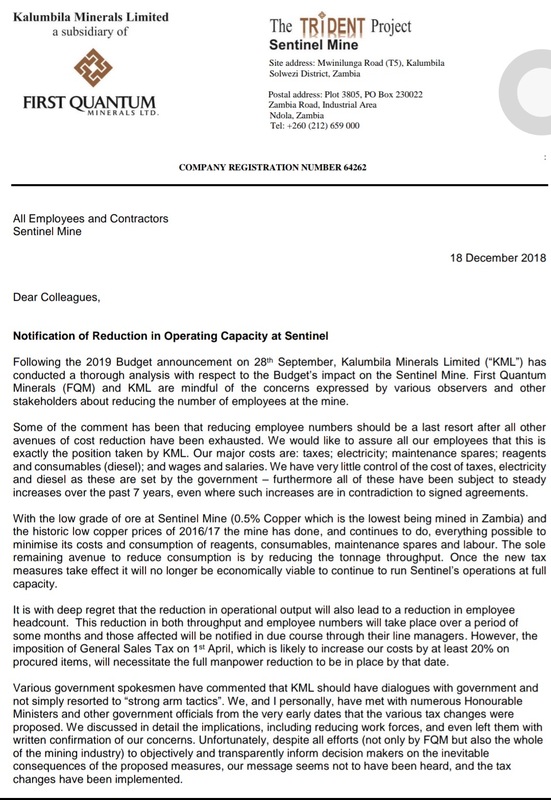 First Quantum minerals has maintained that it will reduce the number of workers starting in January 2019 when new taxes announced by government take effect. In addition, First Quantum has announced that it will reduce production out put due to the effect of the same new taxes. The mining company says once new taxes take effect, it will not be economical viable to continue operating at full capacity and that this will inevitably lead to reduction of labor. See the notice to employee and contractors given today 18 December 2018.